If you hadn’t noticed, it’s been ‘Nam Week this week on Beast of War, which, to be honest, has simply been an excuse to advertise and market Flames of War: Tour of Duty. As an alternative, can I suggest a few other rules you may want to consider instead of Flames of War: all of them, whilst different mechanically, give their own ‘look and feel’ to the gamer playing the war in Vietnam. An umpire plays the opposition, and so the game gives a great feel for the paranoia of warfare – especially since, at the end of the game, the US player may not even see what casualties they have caused. An excellent campaign system to boot. 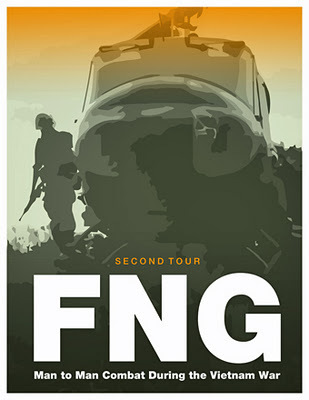 FNG Second Tour is the second edition of the Vietnam Skirmish rules from Two Hour Wargames, published in 2012. Another system that is designed around a campaign, with anything from a squad to a platoon in play. The game also includes extensive rules for playing solo. These rules use the THW reaction system, which is something of a ‘Marmite’ game mechanic – but these are set of rules well worth a look. 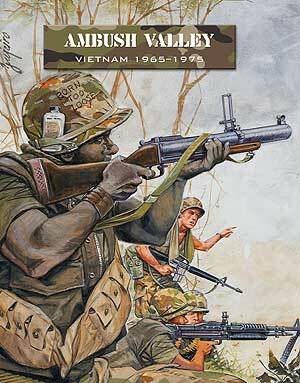 Another Platoon – Company level game is Ambush Valley, which is a large supplement to Force on Force from Osprey Publishing and Ambush Alley Games. Force on Force uses an excellent mechanic for asymmetric warfare (originally designed for use with Iraq/ Afghanistan) and Ambush Valley adapts these dependent upon whether you are fighting NVA or VC. These are my favourite Platoon-level wargaming rules, although I still think that the original version of these rules, published by Ambush Alley in 2009, are much better as this second edition (published in 2011) does not include the original campaign system. A campaign system which emulates a ‘Tour of Duty’ is a must for a Platoon level game, IMO. 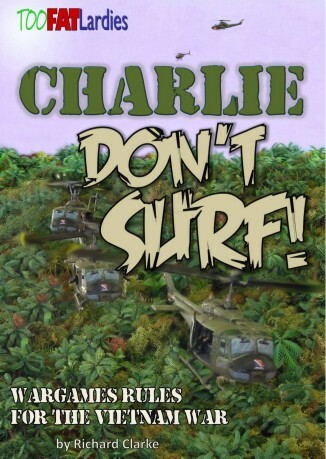 Another company-level set of rules is Charlie Don’t Surf from Too Fat Lardies,published in 2010. These are, IMO, probably the best set of rules that TFL currently produce. A really excellent set of rules, although some people may not like them due to the card-driven nature of the activation system. The rules have a comprehensive mission generation system, which uses a scenario system which allows asymmetric combat to work well where each force is working to a different set of military and political victory conditions. 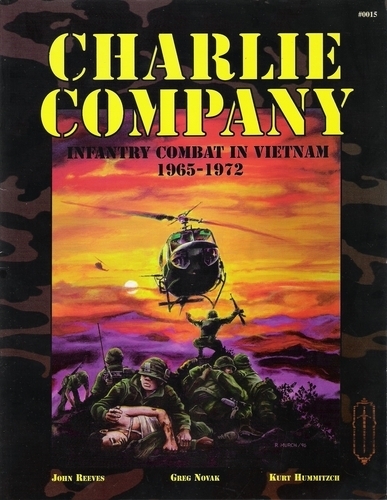 IMO, the best set of Vietnam rules on the market. As for figure ranges,in 10mm it is difficult to see past Pendraken Miniatures. 15mm has a wide selection available, including Peter Pig, Flashpoint, Command Decision and QRF. For 28mm, although there have been some more recent releases by the like of Eureka, the guide that I originally produced several years ago still holds mostly true. I’ve always wondered how much they charge for that sort of coverage. I never realised that Vietnam was some sort of Asian Kursk, how wrong all those films and books have been. I agree with you that CDS is one of the best sets in the market. I never took interest in the period until I bought and read the rules, and told to myself that I needed to play them. Could you explain to this dense American what you mean by “something of a ‘Marmite’ game mechanic” ? ‘Marmite’ is a sandwich spread made of yeast extract, sold in the UK. It’s advertising tag-line is “love it or hate it”. So anything which is described as ‘Marmite’ is something you either love or hate, it’s not something that you can sit on the fence about. All good choices, but Charlie Don’t Surf is my favourite too. Well worth getting invested into the use of cards.